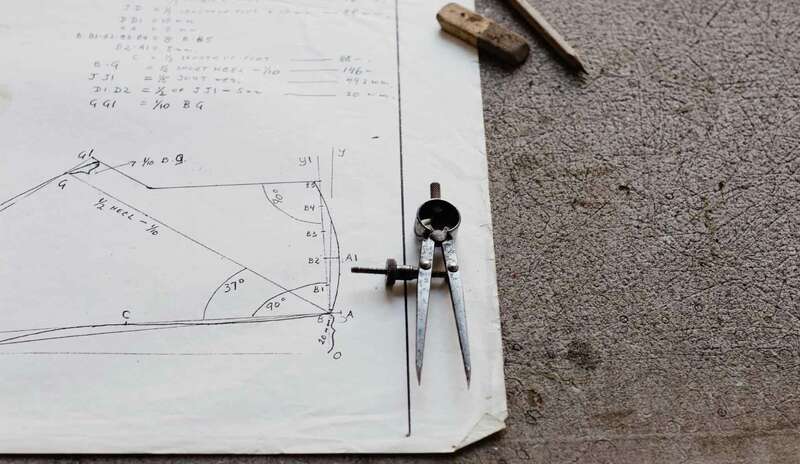 Our bespoke service doesn’t start with measurements and machinery. Before all that comes something even more important: an idea and a little bit of imagination. 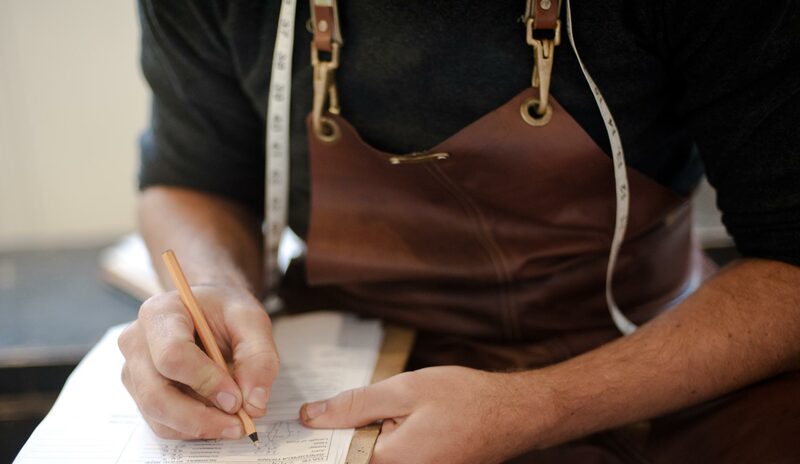 Come to us with an idea of what you want your bespoke shoe to look like and we’ll guide you through the ins and outs of what will work for you and how we can turn your concept into a one-of-a-kind instant smile-inducer. That’ll all happen at the stage we call the consultation. In short, it’s the bit where we ensure all of your needs and ideas are fully realised. After the initial consultation we get down to business. A last is the foot-shaped thingamajig (often made from wood, metal or plastic) that you’ll see everywhere the minute you step into the workshop. It’s kind of like a mould, only the other way round — rather than a craftsman pouring material into a last, they design a shoe around it. We either produce custom lasts from scratch using casts or measurements, or we modify existing lasts from our extensive library. In some cases we’ll manufacture the shoes directly onto the cast of your foot to ensure the perfect fit. 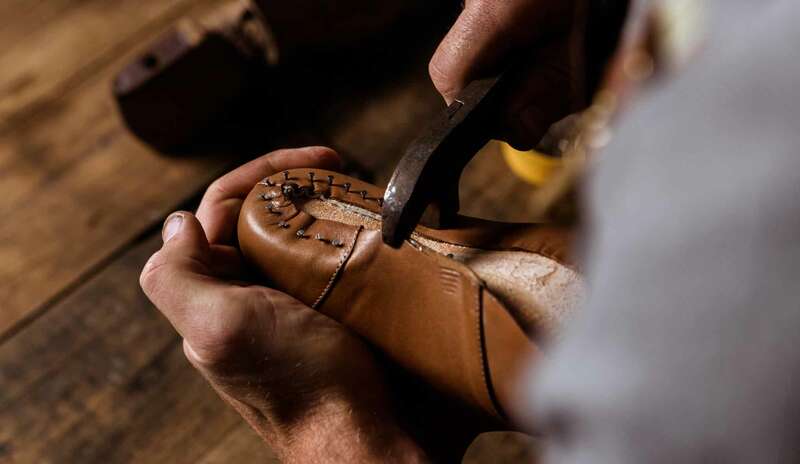 Fundamentally, shoemaking is the same as any design process: it doesn’t work unless you take into account form and function. 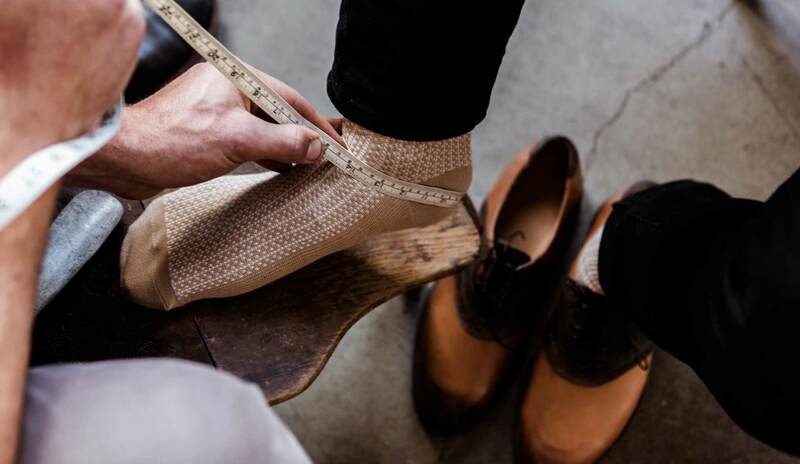 Each pair of our custom shoes requires the time and attention of our cordwainer to produce a custom pattern to fit the form of your foot and to accommodate the function you’re seeking. We take into consideration heaps of different factors when designing a pattern for you: your gait, your foot shape, your support requirements, the style you’re after, donning and doffing (putting them on and taking them off), the materials we’ve decided on, the overall construction technique, and many more. The leather insoles are trimmed to the feather edge of the last to seamlessly blend the upper to the sole of the shoe. The uppers are then hand-drafted and then stretched to take the form of the last. 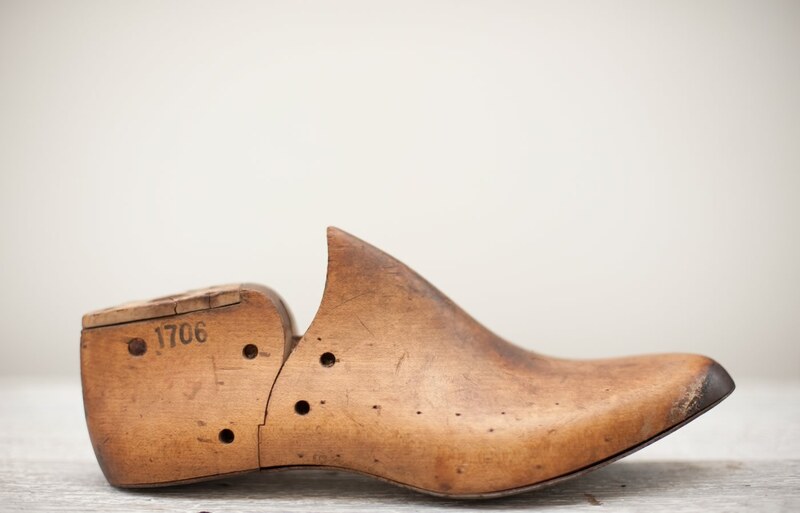 A firm heel counter and toe-puff are inserted to reinforce the upper, giving them greater structural integrity and support. Next step is to apply a stacked leather heel, which is trimmed and buffed. We never compromise on quality and use full leather heel blocks. 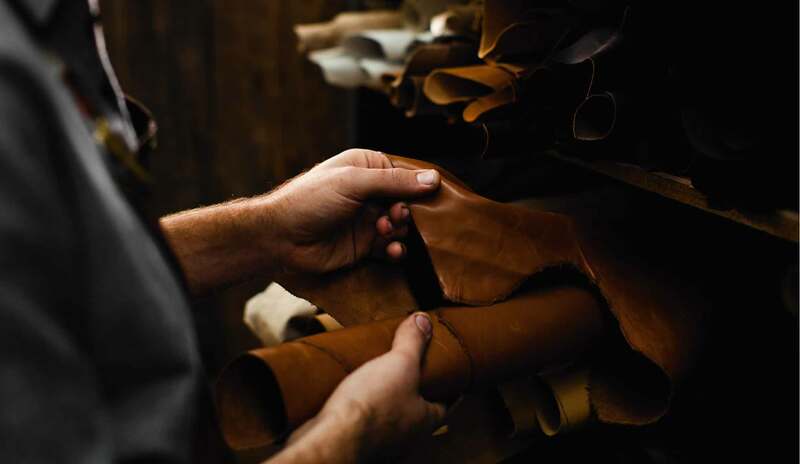 You’ll find no ‘leatherboard’ or plastic in our leather soled shoes. They are attached using buttress nails ensuring they will stay there as long as you want them to. The shoes are then hand finished using a variety of polishes, dyes and techniques depending on the desired effect. The final fitting takes place with the sole now attached to the shoe. We get you to walk in the shoe to test the fit under dynamic wear. If there are minor adjustments that need to be made to ensure the perfect fit we will do them during this consultation. The final step is for you to take your shoes and enjoy wearing them for many years to come. At Wootten we don’t just make shoes; we maintain them as well. 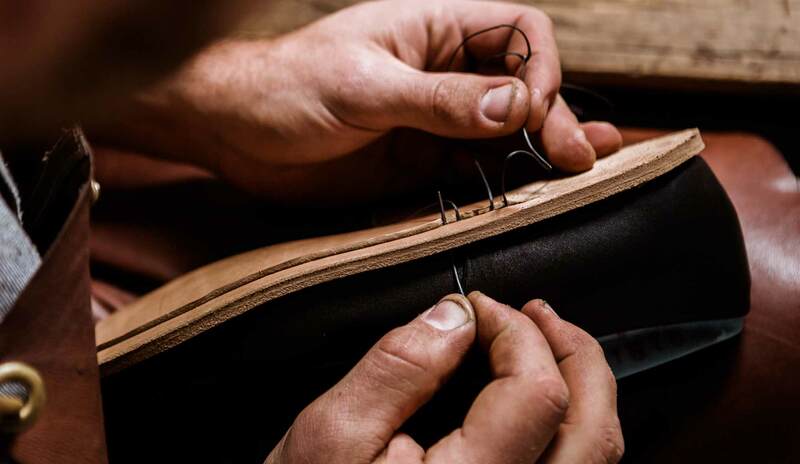 All our footwear is made to last for a very long time with the right care and maintenance on your part as well, but those annoying laws of physics mean there’s no such thing as a shoe that stays intact forever. That’s why when you step out the door with your brand new pair of shoes, we’re not thinking “Goodbye forever” – we’re hoping this is (only) the beginning of a beautiful friendship (even if the next time we see you is in ten years).